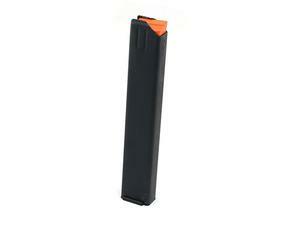 ASC 9mm Colt Style 32 round magazine. Note: These ASC magazines are factory take-offs. Base plate may have stamping from various manufacturers.